Travelled all the way from Hawaii on business. Saw waves. Urge for a standup paddle board. And through the community of Guam “Beach Boys” the mission of FOKAI was spread. The word on the street was that off of a narrow side street in Tumon, Guam was a humble sports shop. It was there that I found the greatest of “Aloha” from Roman Dela Cruz who returned me back to the ocean on his standup paddle board. Not just any paddle board…a Brian Kealulana and Dave Parmeter “WATERMAN” C4 paddle board. 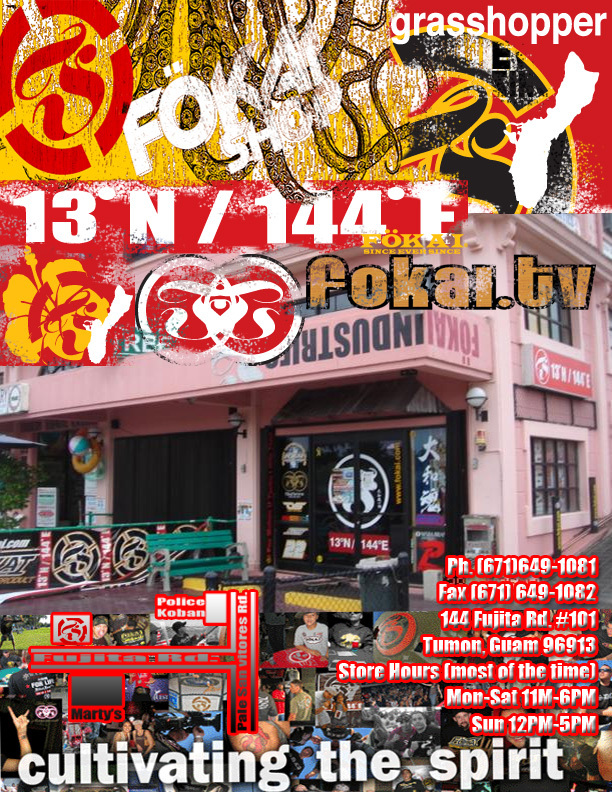 If you’re ever in Guam, you must visit FOKAI just to experience the karma, good spirit and Aloha that this shop brings. Thanks Roman and Steve for preserving my spirit and soul for surfing during my visit in Guam. And thanks for “supporting our troops”.